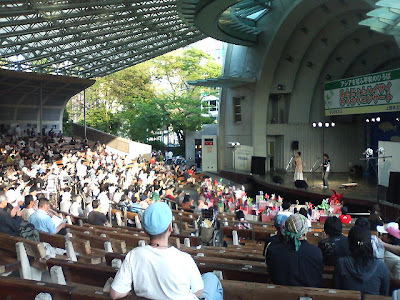 On May 14, 2009, about a thousand people participated in a rally held atHibiya Open-air Music Hall in central Tokyo for demanding the WorkerDispatch Law be fundamentally changed. All opposition parties have begunjoining their hands to “ban registration for dispatch” and a jointbill for it is in sight. 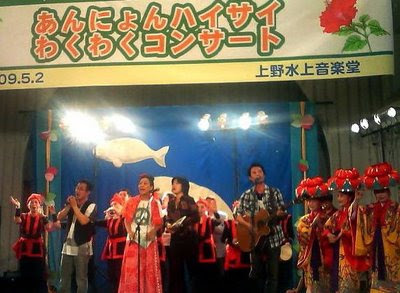 Representatives from the Democratic Party ofJapan, the Social Democratic Party and the Japanese Communist Partydelivered encouraging messages to the participants. 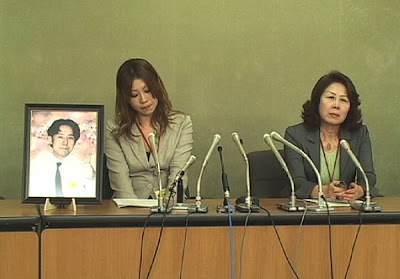 Kamata Satoshi, oneof the facilitators, appealed, “A sharply increasing number of youthskilled themselves according to the 2008 statistics on suicide releasedtoday. Are we satisfied with such a society that people are in aprecarious life-and-death circumstance and lose hope? We have no choicebut to change such a situation”. 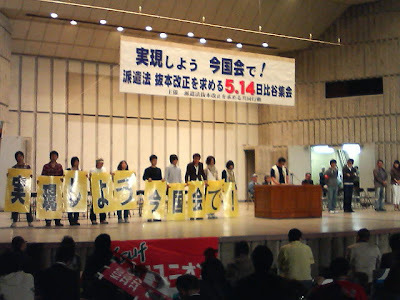 In addition, speeches of courageoustemporary workers at Oita Canon and other companies were welcomed withapplause. Then, the participants marched to the Parliament for makingthe petition at the unusually cold night. 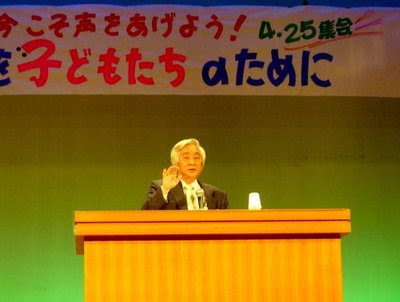 Nobel prize-winning physicist Toshihide Maskawa gave a lecture on “Education and Freedom” at the Education Assembly in Tokyo on April 25th (see photo). Maskawa impressed the audience with the following remark:“Education is not about memorizing the name of laws or discoverers. Education is about highlighting the background to these events. Tests consisting of choosing multiple choice answers degrade the ability to think scientifically. While I believe that exams are necessary, the purpose of education should not be to pass exams. The exam system should be simplified and reduced to a bare minimum. Science would be interesting - even inspiring and romantic - if you ask the question of why something was discovered. The current education system strips all life from science by simply pursuing the results. Left in this way, students feel alienated from education. We need education that can give inspiration and romance.” Reported by Johnny H.
Toyota factory workers in the north of France were striking from April 6th. From April 16th until April 20th, the factory was closed for the first since the opening of the plant. 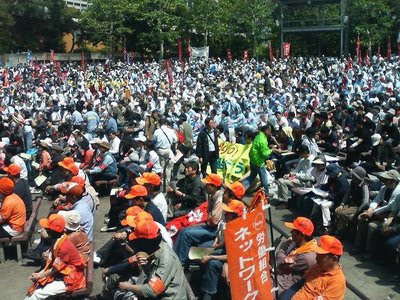 Workers demanded that they be paid 100 % of their wages during temporary factory closures due to reduced manufacturing. They were being offered 60% of wages before the strike. 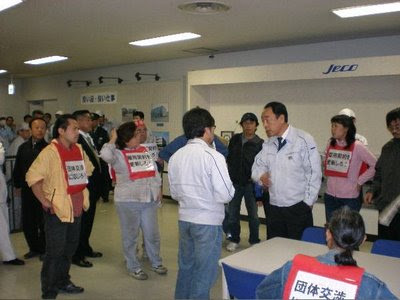 In response to various pressures put on against the labour movement through the Toyota-management style, strikes at Toyota France intensified to the extent of cutting off production line. This is a significant development. The factory was reopened on April 20th, when management made major concessions to the union’s demands such as workers receiving 75% of their wages during temporary closures, paying the withheld wages during the strike, and not penalising union. 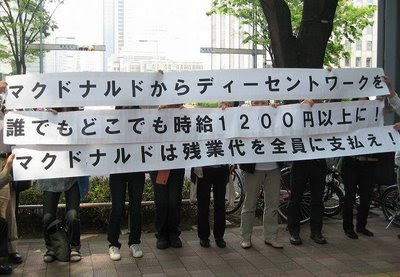 In disputes against Toyota, this victory is a landmark. 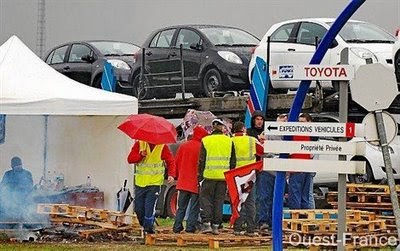 Photo of Toyota France on strike (Report written by Takahata Yuuki, “A window into Paris 2”. 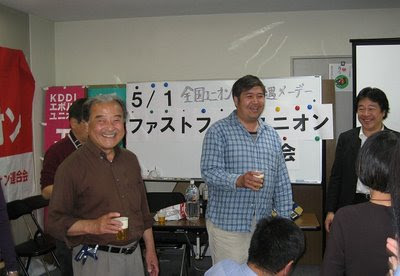 Some 100 supporters gathered to participate in the Meeting to Oppose Sacking of Isuzu Non-regular Workers jointly held by Isuzu Automobiles branch of All Japan Shipbuilding and Engineering Union (SEU) and Shounan Union at the Fujisawa Industrial Centre on the evening of April 18th. Although the 33 contract and labour hire workers who made up the union could not get the company to reverse the dismissals, they managed to get the company to withdraw terminating workers who were midway their contract and win a settlement package favoured by members. 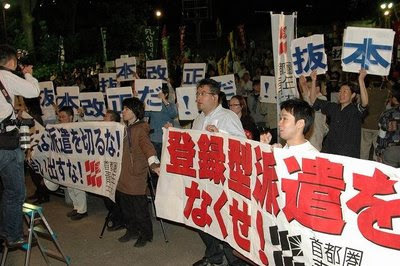 Participants were pleased that the dispute was settled due to the unity and support of the likes of the Kanto branch of SEU, Kanagawa, and Tokyo Metropolitan unions. At the end of the meeting, each of the speakers voiced their thanks and said that “We couldn’t have done it on our own, but we won through the strength of solidarity”. 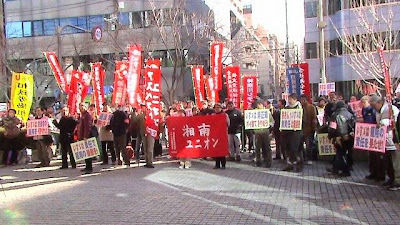 Following the first lot of strikes in March 24, JAM Kanagawa Jeco Trade Union (Chairperson Nobuyoshi Takeda) struck for the second time on April 17. Toyota-related car parts maker Jeco have frozen new hire from autumn last year and started making layoffs. By September this year, Jeco is trying to terminate 92 employees on fixed-term contracts. 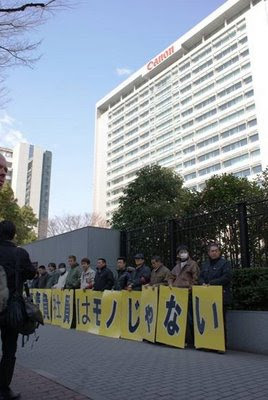 The union has demanded to be able to collectively bargain for the fixed-term employees at Gyouda city, where they work, but the company has unreasonably rejected this. 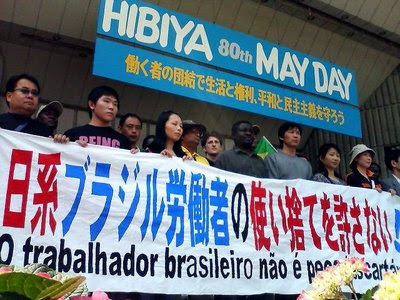 Workers struck at 16:30 on April 17 and entered the Gyouda factory through a side gate. After passing through the main gates, they made their way to the administrative building of head office. 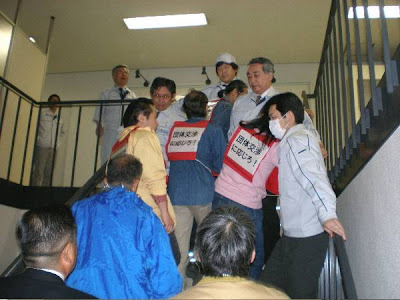 Workers ran up the stairs (see photo) and advanced into the second floor lobby (Report written by Kenichi Kita) *Photo provided by Jeco Union. For more detail see the Jeco Trade Union’s website.